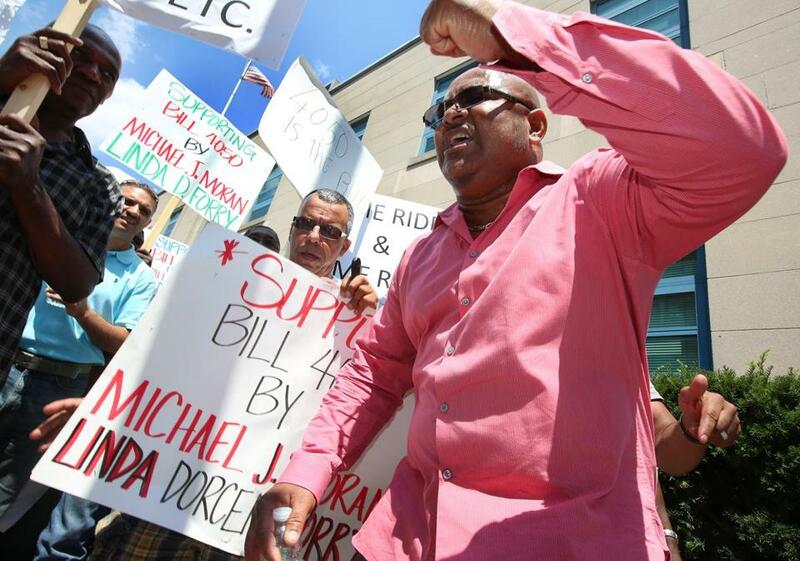 Chando Spuffrant (right), a driver for 21 years and founder of the Boston Taxi Driver Association, led a chant during a strike Monday near Cambridge City Hall. Buying a taxi medallion used to be an easy way to get rich. Medallions — the transferrable permits used in Boston, Cambridge, and other cities to cap the number of cabs on the road — reliably skyrocketed in value. For decades, taxi drivers paid dearly for the legal right to pick up passengers. In Boston, medallions fetched $700,000 as recently as 2014, and some went for nearly as much in Cambridge. Then, well . . . Uber happened. As the ride-hailing app has boomed, the value of medallions has plummeted, threatening the investment of large taxi companies that once hoarded them as well as that of the small-time operators who were counting on cashing in their medallions to fund retirement. Taxi drivers are now demanding a more level playing field; politicians don’t want to offend voters who like and rely on services like Uber and Lyft. The most obvious solution, likely soon on the horizon, is for policy makers to scale back restrictions on taxis. But if deregulation goes forward, what could happen to the medallion? A few experts share their thoughts. Prospects: Even Moore is not convinced enough to support a buyback initiative. The idea of spending millions of dollars to bail out medallion holders will be an equally hard sell to taxpayers. Create a new licensing class. Innovation must be balanced with public safety and consumer protection considerations, no matter what the industry. In New York City, there exists the “boro taxi.” Cars are green, the license is cheap, and they’re a lot easier to hail than a yellow cab outside of Manhattan. For Donna Blythe-Shaw, they’re a model for how the cab industry could survive in Boston. Blythe-Shaw, a labor organizer who works for the Boston Taxi Drivers’ Association, suggests the Boston version would have a few of its own twists: The pickup and dropoff rules would differ, and cheaper permitting costs would mean fares could be lower for the everyday residents the cabs would serve. Prospects: Blythe-Shaw says she’s brought up a “neighborhood cab” concept with Boston officials, only to be rebuffed so far. As Bruce Schaller sees it, there’s at least one purpose of medallions whose value hasn’t been eroded. 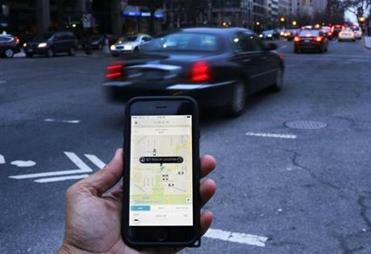 The consultant, who was formerly a top official in New York City’s transportation department, said ride-hailing companies have been successful at creating new demand and taking business in the far-flung parts of cities that taxis don’t do a good job of serving. But in some places, where pedestrians can hail a vehicle in less than a minute or grab one curbside, taxis continue to do brisk business.